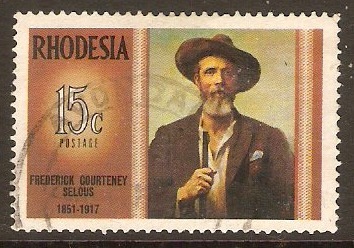 Rhodesia 1971 15c Famous Rhodesians Series. SG458. 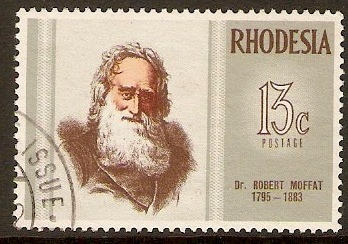 Unmounted mint 1971 15c Famous Rhodesians Series. SG458. Fine used 1971 15c Famous Rhodesians Series. SG458. Rhodesia 1971 Birds of Rhodesia Set. SG459-SG464. 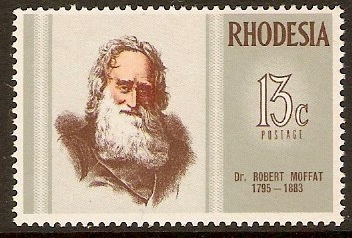 Used 1971 Birds of Rhodesia Set. SG459-SG464. Lightly mounted mint 1971 Birds of Rhodesia Set. SG459-SG464. Rhodesia 1971 "Granite 71" Set. SG465-SG468. Fine used 1971 "Granite 71" Set. SG465-SG468. Unmounted mint 1971 "Granite 71" Set. SG465-SG468. Rhodesia 1972 13c Famous Rhodesians Series. SG469. 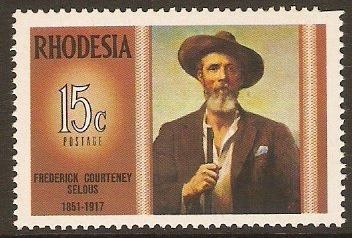 Mounted mint 1972 13c Famous Rhodesians Series. SG469. Fine used 1972 13c Famous Rhodesians Series. SG469. Rhodesia 1972 Prevent Pollution Set. SG470-SG473. Unmounted mint 1972 Prevent Pollution Set. SG470-SG473. Used 1972 Prevent Pollution Set. SG470-SG473.